If the game of basketball was a royal family, the hierarchy just lost its King. 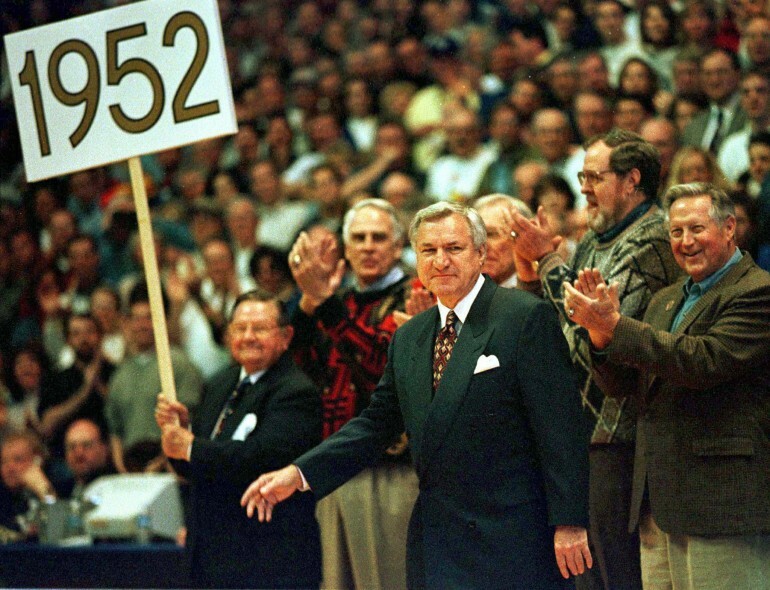 Dean Smith, the Hall of Fame North Carolina coach who led the Tar Heels to 11 Final Four appearances and two national titles has died. People across the country are mourning the loss of the hardwood legend. Hundreds of Smith fans flocked to the arena that bears his name in Chapel Hill placing notes, bouquets of flowers, and lighting candles for their fallen leader. One of those fans is the current President of the United States, Barack Obama. Obama has always mentioned and quoted Smith in his speeches and frank talks about leadership. On Sunday, Obama released a statement about Smith and his role in the sport of Basketball and some of the game’s biggest stars. Join us in remembering the great Dean Edwards Smith and the imprint he had on the game of basketball and the lives of its greatest figureheads as we look back at 15 of some of the greatest and most poignant words spoken by the man who helped revolutionize the game of basketball. "The most important thing is team morale." "Always have your players go and pick-up the guy who draws the charge." "Everyone on the bench stands for the man coming out of the game." "Over coaching is the worst thing you can do to a player." "I've always believed in quickness over strength and size." "The key statistic is still to get to the foul line."